According to Dr. Erica Berman, “Research consistently finds that women who have experienced a miscarriage feel that the responses of friends and family minimize the significance of the event and are dissatisfied with the support they receive.” The fact that you’ve sought out this resource demonstrates your desire for your friend to have the support she needs. Thank you for being a good friend. Thank you for putting aside your discomfort, your awkwardness, and your own sadness, and for being willing to lower your guard and put yourself in the vulnerable position of offering help to a grieving friend. As someone who’s been on both sides of the coin—needing care and offering care—I’m well aware of the tightrope you walk as you try to navigate doing and saying the “right” things. Unfortunately, there’s no road map for this, and quite frankly, most of us feel incredibly clumsy. That’s okay. Grief is complicated to begin with, and grief from an intangible loss can seem even more complicated. It’s just hard. I have some bad news: You actually might do or say the wrong thing. You’re at risk of sounding dumb or unintentionally doing or saying something hurtful to your friend who’s already in pain. Because everyone grieves differently, it’s impossible for me to tell you exactly what your friend needs to experience or hear. A lot of us let this possibility hold us back from trying. We’re afraid of saying the wrong thing, so we say nothing. We’re afraid of doing something insensitive, or making her pain worse, so we do nothing. But that’s not you; you’re actively looking for ways to help. And, thankfully, I’ve got good news too: There is no one right way to help someone who’s grieving—there are a million. And you—her friend—are in the best position to know how to care for her because you can listen to her, follow her cues, and gently offer support as she (or he) is willing to receive it. You know her personality, the things that make her exhale, and the things that cause her to knuckle down or run for cover. You know what makes her smile and what fills her cup with joy. You know her favorite drink from Starbucks and the snack she likes best while curled up watching Netflix. Please bear in mind that the form your friend’s grief takes may surprise you; don’t let that deter you from continuing to offer friendship. She needs you now, whether she’s able to see it clearly or not. Thank you in advance for your patience and your freedom to forgive if she takes for granted the care you offer. Most importantly, never underestimate the power you have to minister through simple kindness and connection. Whatever you can do to help create space for her to process her grief and know she is loved will most likely be welcome. (Sometimes this means covering the practical work of cooking or cleaning so she can do soul work.) It doesn’t take much to help a family in crisis find the difference between grieving with despair and grieving with hopeas they process the loss of their child within a caring, supportive community. Mostly it just takes your presence. But it also takes small acts of compassionate action. Think of it like this: Your friend has just experienced birth and death all at once. The things you might offer a new mother in the haze of postpartum hormones (yes, your friend has these too) are the same things she needs. And the things you might offer a friend after she’s buried a loved one—these are the things she also needs. Your willingness and generosity to offer practical, emotional, and spiritual support during this most tender of times can fortify a friendship like nothing else. Thank you for wanting to help carry brokenhearted parents through their pain. I hope the following suggestions help. Because they aren’t universal, I encourage you to always offer rather than insist upon these demonstrations of support. 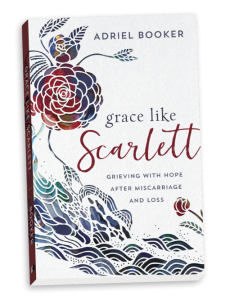 Please note: A version of this appears in Appendix E of my book, Grace Like Scarlett: Grieving with Hope after Miscarriage and Loss (Baker Books, 2018). Nothing in this article can be reproduced without prior consent from the publisher. 2. Be available to listen and talk… or not. Your friend may want to talk it all out, or she might prefer instead to talk about her favorite Friends episode or the latest weird fashion trend. It doesn’t matter! (Your presence and availability are what matters.) She may find comfort in hearing your own story of loss, or she may wish you’d quietly listen. If social cues aren’t clear enough, simply ask. (And then don’t take her answer personally.) Continue to gently make known your availability. 3. Give her permission to feel whatever she’s feeling. Your friend is likely experiencing a huge range of emotions right now. Reassure her there’s no singular “right” way to grieve and gently steer her away from comparisons if you sense she’s sizing up her grief against someone else’s. Her pain is the worst pain in the world to her because it’s hers. It’s important she feels validated—she’s grieving the loss of her baby, and her sorrow (or whatever she’s feeling) is normal. Remind her there’s grace for the process. 4. Refrain from offering pat answers or religious clichés. A grieving parent doesn’t need to hear things like, “God will never give us more than we can handle,” or “Now you have an angel in heaven,” or “Everything happens for a reason,” or “That baby was too special for earth,” or “God gives and takes away,” or pretty much any form of “There’s a reason this happened—it must be for the best.” (I could make a very long list here, but I think you get the point.) Take care that you don’t inadvertently minimize her pain by telling her she can try again or using any “at least” statements (e.g., “At least you weren’t far along,” “At least you know you can get pregnant,” “At least you have other children,” “At least you are young and can try again”). These well-intended sentiments can be very damaging for a grieving parent. Don’t compare the loss of her baby to the loss of a pet, no matter how much of a beloved family member your fur baby was. In fact, don’t compare the loss of her baby to any loss. Just let it be her own. 6. Don’t assume that someone else is looking after them. Be mindful not to miss an opportunity to support a family after a loss because you think it’s already covered by someone else. They need you now more than ever. I don’t know a single woman who had “too much” support after a loss, but I sure do know a lot who felt they had too little. 7. If you are a person of faith, pray. In addition to praying privately, consider offering to pray for the mother and father in person when you see them during a visit, at church, and so forth, or pray for them out loud over the phone. You could even type your prayer and send it in an email if you are uncomfortable praying aloud. Pray for her heart, her marriage, and her connection to Jesus. Don’t fall victim to the “it’s just prayer” mentality. Prayer is powerful, encouraging, and transformative. It is one of the greatest gifts you can offer to your friend. 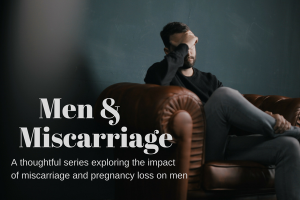 Men experience grief and loss after a miscarriage too. In addition to the expectation that he’s not to miss work, he’s likely supporting his wife emotionally, assisting her practically as her body recovers, caring for other children, maintaining the home, and so on. He might seem to be holding it all together as he strives to maintain the status quo for the sake of his family, but he’s grieving too. Ask yourself if there are small ways you can ease Dad’s load, validate his pain, or demonstrate your support to him in a personal way. Include his name in cards you write and texts you send. Pray for him. Encourage him. Affirm him. Make room for his grief—welcome it, in fact. 9. Try to understand her triggers. There’s no way to know what capacity your friend will have to be around pregnant mothers and babies, but you can anticipate some of these sensitivities and gently ask her: “Does saying ‘yes’ to attend this baby shower feel like too much for you right now?” or “Would you rather not do the girls’ night out, since many of the women going are new moms likely to be talking about baby milestones?” and so forth. Your friend may struggle with certain songs at church, holidays, family gatherings, or when a stranger asks how many kids she has. She may seem fine holding a friend’s newborn one week and then months later, near her due date, not be able to bear the sight of fresh little babies even from a distance. No one assumes you have superpowers to read your friend’s mind, but she’ll appreciate you taking initiative to ask if certain things are hard for her; this gives her an opening to be honest, even when she worries what others will think. If nothing else, she’ll appreciate your sensitivity and your willingness to try to understand. 10. Call her child by name. If your friend has chosen a name for her baby, use it in cards, texts, and conversation. Hearing her baby’s name spoken aloud helps give identity to her baby and validation to her grief. 11. Engage with her story. If she’s been vulnerable enough to share her story on social media or in a blog post, it’s because she’s hoping you’ll read and engage with it, so please do. Rather than simply “liking” a post (which anyone can do), make a thoughtful comment or send a message letting her know you’ve read it. Thank her for being vulnerable. Tell her that her story and her baby’s life matter. These are simple ways to validate her grief and show empathy. 12. Give her a thoughtful gift. Put together a care package or buy her a thoughtful gift. 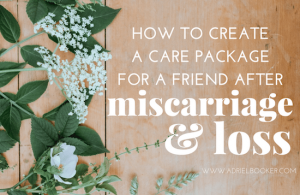 While it’s not about buying something expensive, it will mean the world to your friend to receive a thoughtful gift that communicates “I see your pain and I care.” Consider buying your friend a book on miscarriage, a gift certificate for a day spa, or another comfort item such as chocolates or a bottle of wine. Note anniversaries or other important days: what would have been the baby’s due date, the date they received a horrible prognosis, the date of the miscarriage, or other significant dates such as Mother’s Day or Father’s Day. As those dates approach, do something small (even a text!) to remind her she’s not alone. Knowing her baby and her grief are not forgotten will be a special comfort during those “marker” dates. 14. Be sensitive about “trying again” and future pregnancies. Use discretion when enquiring about things like when they might try again, how many children they’d like to have, and so forth. 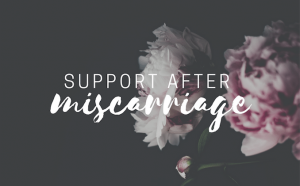 Please understand that even if they do get pregnant again after miscarriage and carry a child to term, it will never replace the baby they lost. It’s easy to think a new pregnancy will swap joy for their grief (and for some it does), but new pregnancies can also cause women to experience their grief all over again. Bear in mind that each woman handles this differently. If she gets pregnant again, she’s likely to need extra support during her pregnancy as she copes with fear, anxiety, or other forms of grief. After I lost my mom when I was 25, a friend came over and told me what her pastor had said to her, when her dad had died: “However you feel is how you’re supposed to feel”. That has been so true. Grief is not linear. It is not one big trajectory toward feeling “okay”. What feels manageable or even exciting one week might feel like too much to bear the next. That’s just grief. Keeping that in mind as you support a friend through loss is helpful. I mean- it has been helpful for me and seems to resonate as true for others when I pass it on to them. There’s something freeing about knowing that it is okay to feel joy one minute and deep sorrow the next. It’s all part of grieving a loss, I think. Absolutely Katherine. I think that was the biggest surprise to me in wading through my own grief – the realization that it’s not linear at all. I guess I had always imagined you moved through the stages of grief graduating from one to the next, as if grief is something to be conquered. That’s why I always go back to the wave metaphor – there’s a regularity (especially at first) in how the waves come but then things can be calm for a while before a big one can come out of “nowhere”, blindsiding you again. I have some of the same questions Becca, though not the survivors guilt (which I know comes from a very deep place for you). I’ve been incredibly grateful for the internet and the support I’ve found there. In some ways I think people feel safer reaching out across the internet, even to “strangers” to support them and offer solidarity in the pain. There’s such a power in connecting with people who have walked a similar path to you and the internet makes the possible connections infinitely greater in number than just reaching out in our immediate circles. I’m grateful for that ability, but sometimes wonder if it takes away from the here-and-now relationships around me. Or maybe it doesn’t take away from them, but it can highlight (amplify?) when those relationships around you aren’t filling the particular void. But to be honest, if I was to look back over the last period of my life (first with Judah, then Scarlett) and imagine it without the internet and the support that came through the channels available to me, I would have had SO much less support. That’s not a criticism to those around me, but more a comment on the struggle of relating around these “big” topics on a day-to-day level without the safety of distance between our words and the sender/receiver. Something I think about a lot, actually. I am so grateful for the “community” and friendship I’ve found online, but I do sometimes wish that we (myself included) knew how to better facilitate community in our home environments. And yes, give people space to talk about the hard stuff, like you said – divorce, singleness, infertility, etc. included. Both grief and hope deferred are powerful emotions and can be very difficult for people to know how to walk into, much less facilitate for others. I want to grow in this too. i think it’s awesome that the online world has been so supportive for you – that’s definitely better than having a lack of support. hopefully we can grow little by little in our face to face communities – but i think the nature of grief is extremely lonely because it’s so incredibly personal and no one can fully understand what another person is truly feeling/experiencing. i guess online support is one of the many blessings of the internet. I got this post in my inbox and at first I was just going to skip it, thinking it wouldn’t really apply to me… But what you’ve written doesn’t just apply to grief in those specific situations but grief at any point in life, no matter the cause or situation. These are beautiful, practical words of wisdom – thank you for sharing them. At a time when I was really struggling in my marriage I remember feeling so frustrated at the friends who would use Christian cliches in the hope I’d find reasons to stay hopeful… All I wanted was for them to accept me in my brokenness and weakness and stop trying to facilitate the healing… I trusted that the healing would come eventually but in the right time – God’s time – but I needed time to be broken. Having said that, I’ve been “that friend” many times, trying too hard to pull my friends through a rough patch and not having the humility to accept that isn’t my role. 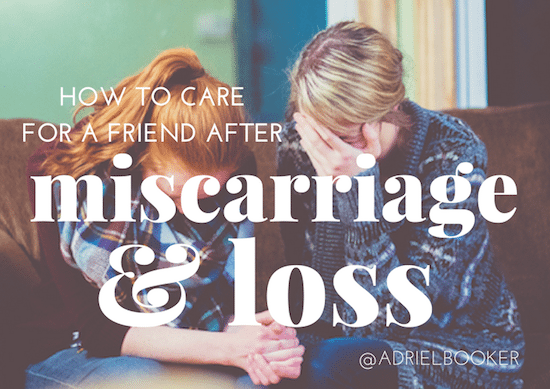 I had no idea how to respond when my friend had a miscarriage. I had no idea the pain her and husband went through and she was very closed about it all. To this day I don’t know if what I did/say was what they needed; I felt ignorant and useless. That experience made me realise that at some point it is important for us to acknowledge/thank/direct those who did try to help us through our brokenness – even if it is long after the event when we’ve healed. Well done my friend. This is so perfect and right on the money. I hate that you know that. I hate that I know that. Hugging you from here. I lost my baby to a miscarriage last spring. The “due date” is just around the corner and this is a really tough time. Thank you for sharing this. I have passed it along to my friends. Oh Julie, I’m so sorry. I hope passing this along to some of your friends helps, and that they really rally around you during this difficult time. I have 3 beautiful children. But to get them I have had 3 first trimester miscarriages, and in July this year we had a late miscarriage losing a little girl at 19 weeks. Thank you for this blog. It would have been great to have handed this out to our family, church family and friends! We had many, many people say “Let me know how we can help”, but I was in such a fog I just didn’t know what would help or when would be best. I couldn’t think straight to coordinate all the offers with our normal routine. It was just too hard. I found with the concrete offers I didn’t have to think so much or organise and they really did help. Eg I can mind your kids these days, I can bring a meal this night. Some people bought groceries too. I know the support was there but it wasn’t very accessible if that makes sense? It’s also a very lonely place and I would have really appreciated more friends checking in on me. Maybe it’s not too late to send your list to people?! I had to come back and read this…I am clinging to many of these, riding the waves of grief, and searching for joy in the everyday. I cannot explain the peace I am given from my boys, their extra squeezes during the day. It leaves me breathless with wonder and pain, but peace and comfort. Ana recently posted..The child that would have been. I think this is helpful in that we’re talking about this emotionally fraught topic. One of the team members of my colleague/friend just miscarried her very wanted baby. This caused my friend and I to talk about the miscarriages we’ve had and how unprepared we were for the emotional and physical effects this has. It is hard to know the right things to say, but I think just acknowledging their feelings and thoughts is the best step. Thanks for having the courage to raise this. Yes, it is so hard to know what to say – but as you say, acknowledging that it is hard is just so, so important. Thanks for taking the time to feedback. I’m sorry you’ve experienced miscarriage too. Adriel, I just read this piece and it is just excellent. I love how you speak out of experience, grace, and love, and cover so many perspectives. I direct a ministry for families experiencing pregnancy loss and I would like to put a link to this article on our website if you are okay with it. I also shared it on our Facebook page. Our website is http://www.hannahshope.us and I was thinking it would be great for our “RESOURCES” page. p.s. I’m sorry I’ve somehow missed this comment until now. I just read this after finding it on pinterest. A friend lost her baby a couple of weeks ago. I check on her via phone. Me and kids were all sick so I haven’t been able to go see her, but this really opened my eyes on what all I’ve been doing wrong. :-/ I’m so sorry for you loss and everyone who has posted. Hopefully more people will see this and be more helpful to those who have experienced the loss of their babies. I’m so sorry for your friend’s loss. It’s wonderful that you’ve been checking on her by phone and that you are open to learning more about how you might help her. You sound like a lovely friend. All the best. Thank you for #4! This is so true for any kind of loss, whether it be miscarriage or the loss of any loved one. So many people want to make everything have a “reason”, but doing so in a persons darkest hours easily leads them down the path of questioning their faith or becoming angry with God. Who wants to hear the loss of their child was part of His “plan”? No mother should have to hear that. I see and hear it offered as a condolence time and time again and my heart breaks every time for the woman having to hear that. Thank you so much for sharing this. You did a wonderful job putting such a hard subject into words. I know you wrote this years ago, but I found it when trying to deal with the struggles of my own pregnancy loss. I’ve browsed around most of your posts regarding your losses and it has made all the difference in the world to me. Thank you for sharing everything. I experienced my loss in April at 10 weeks – it was my first pregnancy – and am now 11 weeks pregnant. I thought once I was pregnant again the pain of the miscarriage would suddenly go away. I could not have been more wrong. Mixed in the moments of excitement of our newest little one are moments of grief for our first love and this post just gave me a moment to have a good cry and I can’t tell you how much I needed it. Thank you for sharing. Our experience of working with families who have had the tragic experience of losing a baby through miscarriage, stillbirth or newborn death is that it is such an isolating and lonely time, thoughtful and sensitive support from friends and family really does make such a difference. Thank you for your important work. I’m happy for you to link here as a resource for others.